This book is forthcoming from Routledge. Judith Malina, 1984. Photo credit and permission, Jeff Day. 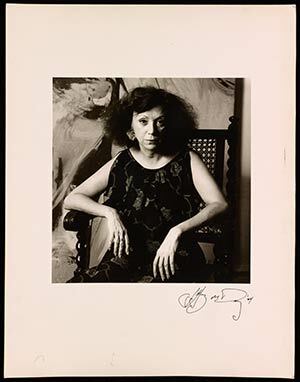 This book collects, edits, and introduces the lifetime diaries of theatre artist and activist Judith Malina (1926-2015), who co-founded The Living Theatre in 1947. Until her death, Judith Malina was the most influential and longest living member of The Living Theatre, itself the longest-existing experimental theatre in the United States. Her history and that of her company remain intertwined: her art was her activism, and her activism her art, and she details this work in the nearly daily diary entries that she kept throughout her life. Malina’s passion, artistic excellence, and leadership were the driving force behind her company’s survival and continued experimentation over seventy years. This book features the publication of thousands of unpublished diary entries alongside previously unreleased photographs, and is a landmark study in the history of The Living Theatre, of Judith Malina, and in 20th-21st century humanities. This book is for scholars of theatre and performance studies, for radical activists interested in art as a tool for political action, and also for students and non-specialists to enjoy as pleasure reading—whether to learn about Malina as a person, to investigate the labor of making performance and running a radical theatre company, and/or to explore more about what it means to be an activist artist over the past 80+ years; Malina’s elegant prose and witty observations about life in New York and abroad appeal to a wide readership. This book fills in an increasing gap in the history of The Living Theatre, as well as addresses questions about Malina’s own role in theatre history and her ongoing legacies. This book draws on the work Malina herself did in publishing excerpts from her 1947-1957 and 1968 diaries—two texts that are core texts for contemporary theatre scholars—and adds to these key records of Malina and her company’s work in the U.S. and internationally. And the collaboration of Garrick Beck, Isha Appell, and Thomas Walker.